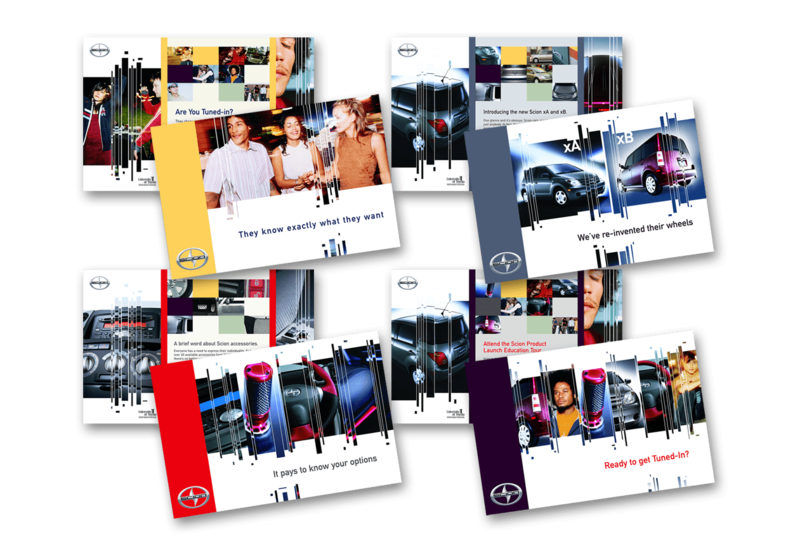 A Toyota Motor Corporation brand, Scion targets Generation Y consumers. To meet the needs of this unique demographic, Scion focuses on offering a range of more than 150 accessories, enabling drivers to personalize their vehicles to match their individual styles. This strategy offers the consumer a car that is much more than most small cars which have no differentiating style or substance. Knowing that drivers want an affordable car that also expresses their individuality and fits their lifestyle, Scion set out to break the rules and stand apart from other car brands. 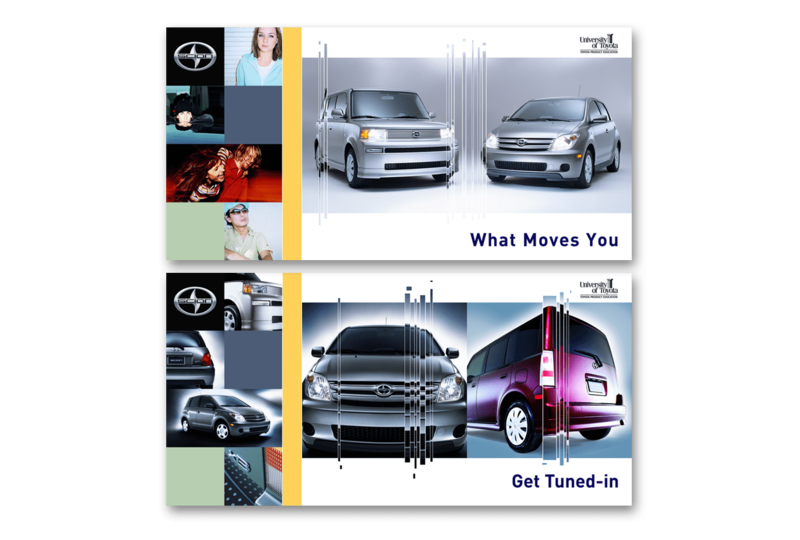 Toyota sought to develop an inaugural launch for the Scion brand that would clearly distinguish the Scion customer from the traditional Toyota customer for salespeople, while also educating dealers on the features and functions of the new car line. I worked with Sandy Corporation, an education and training agency, to evaluate types of program enrollment websites and collateral materials which would most effectively benefit the product education program. 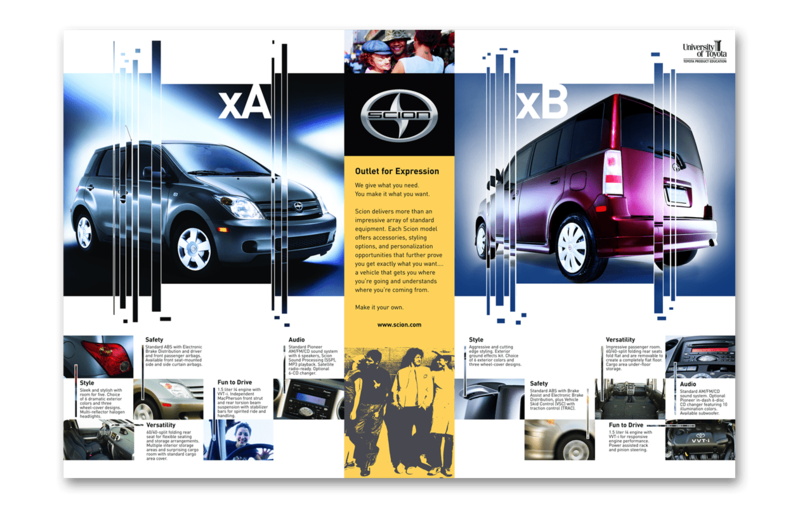 I developed an entire integrated campaign which included a dealer management brochure, charts, diagram boards and banners. Additionally, to enable learning, I designed participant guides, mobile meeting facility, outdoor signage, a meeting-in-a-box kit, program teaser postcards and a program enrollment website. 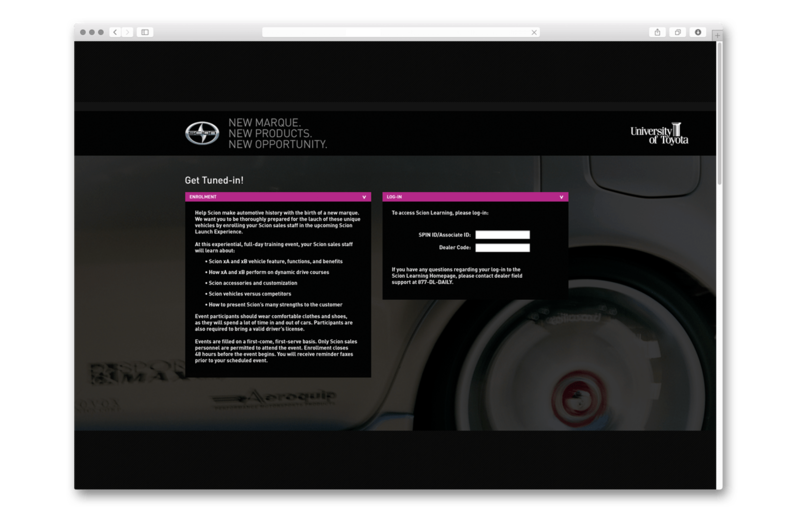 This truly unique and effective inaugural program for Scion exceeded the expectations of Toyota.